So, being the idiot that I am, I was unaware of this website being a thing. 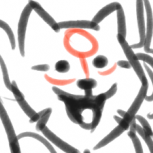 I see a few of the other people I know from the Dissidia Forums here. All my mods are added in. 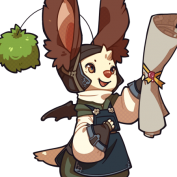 So as homage to Square-Enix for making this game, this post is dedicated to mods using characters from their works. My first mod, which is merely an edit of someone else's(Zatewk) Riku mod. Cuz I got fed up with people sticking keyblades the wrong direction. 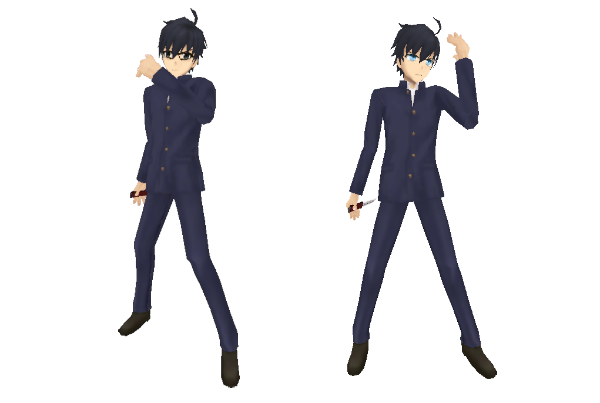 He switches from Soul Eater to Way To Dawn in EX mode. He goes over Squall. 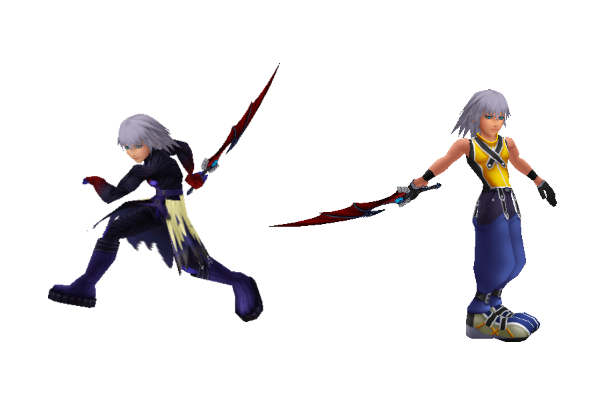 EDIT : Updated Riku, the original one used a high-poly cutscene model. I made this one as low-poly as I could. You can tell from the face and the hands. Also gave him facial animations and fixed the EX burst camera. I also recreated the hair flapping in EX burst from Zatewk's original mod. Roxas was my first try at an Onion Knight mod. In EX mode he puts on his hood. He wields Oblivion and Oathkeeper in Ninja form and Two Become One in Sage form. 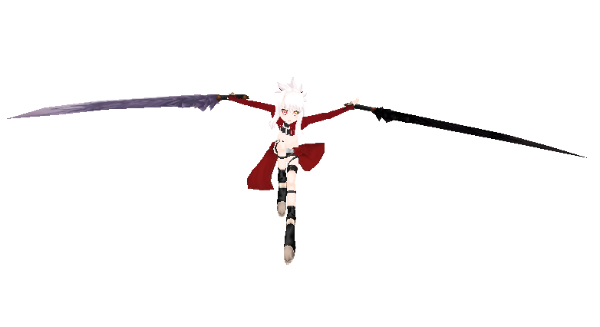 EDIT: Updated, completely re-rigged from scratch, no weird size comparison now, together with hair physics. 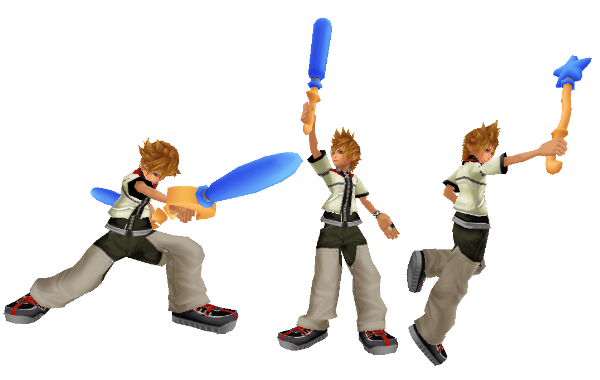 Also, gave him facial animation and an alternative GMO with Ventus's head instead of Roxas's. This was a request from someone after they saw my Roxas mod, asking me to make a Sora Version. 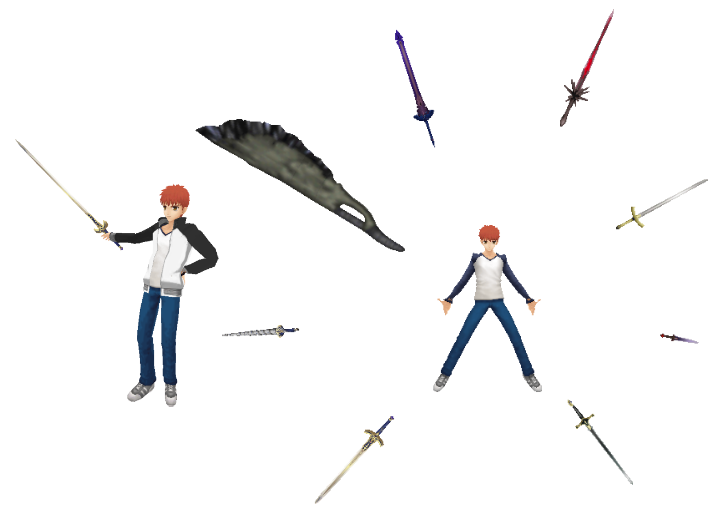 In EX mode, he changes into his Drive Forms. Valor for Ninja and Wisdom for Sage. EDIT: Completely re-rigged from scratch, after I got fed up with how pointy the shoulders were in my original mod. Gave him facial animations too, though that might be over file size limits. He now also has hair physics. 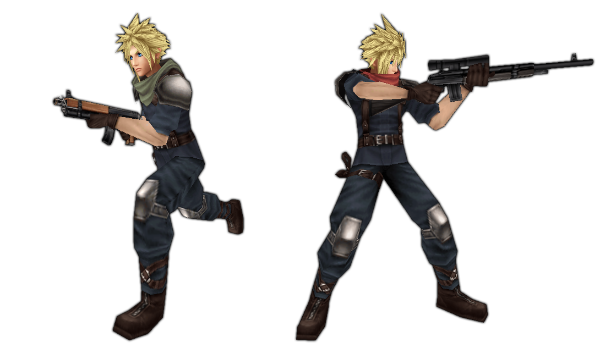 New EDIT: Added a Christmas Town alternate costume for him. 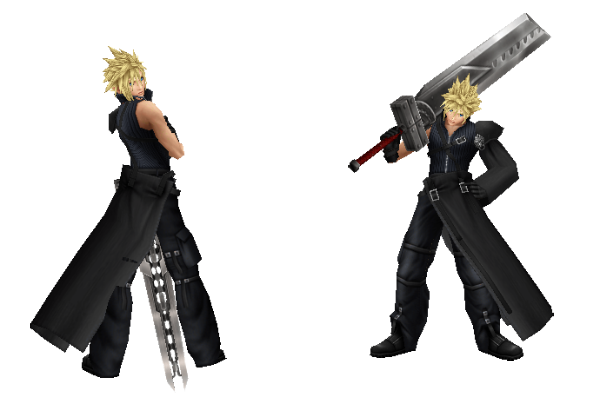 So someone had the idea of sticking Final Form Sora onto Cloud of Darkness. I actually don't remember why I made this. Originally I made this together with my normal Vanitas and Ventus mod, but since that updated into a mod pack, this got left alone. They go over Cecil. 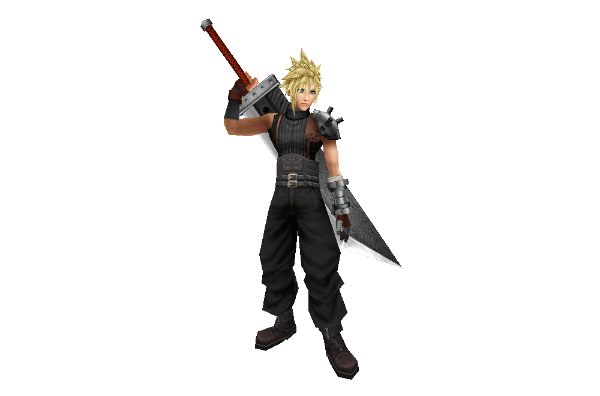 So I originally made this after seeing on the old Dissidia Forums, someone complaining about there being too many mods over Cloud. The manliest of Clouds, the Jecht-style fighter! Small Edit: I gave him facial animations. Nothing else has changed. So this was done on a whim. Using EX weapons instead of normal weapons that Bartz copies. Mostly, it was texture editing than replacing weapon models. So another Riku mod over Squall. This time it's his younger self. 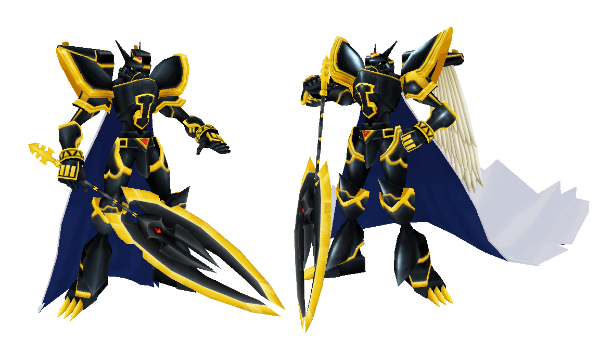 He changes into his Dark suit in EX mode. 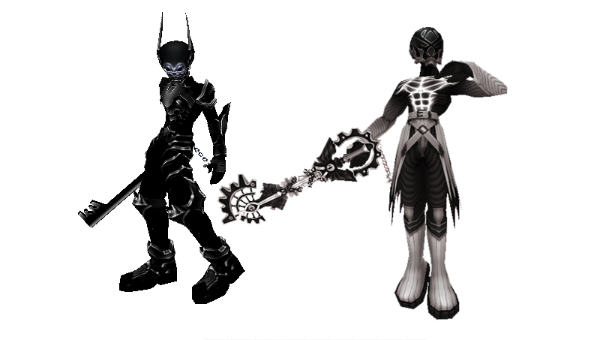 So I made this by remaking my original Vanitas and Ventus mod, along with making new mods out of armored Aqua and Terra, Armor of the Master, and No Heart. 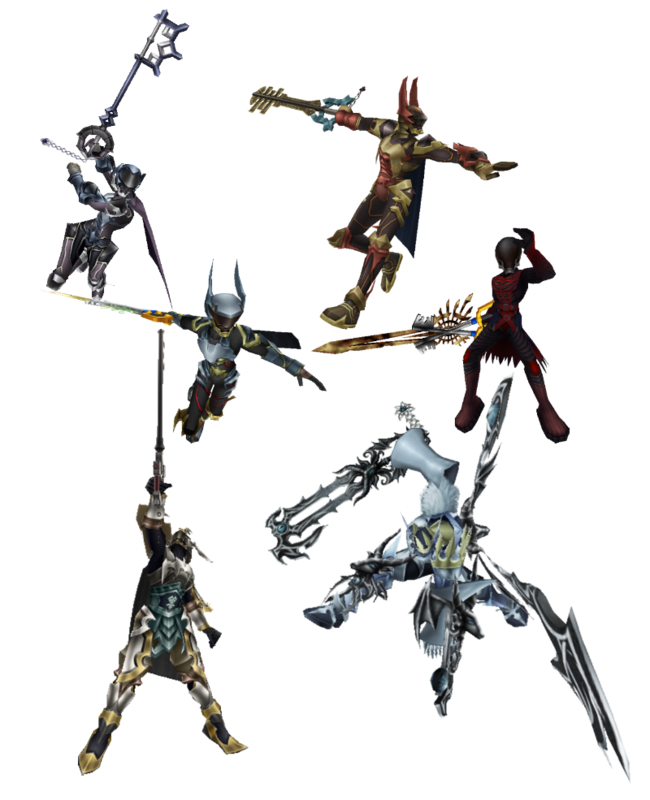 Vanitas and Ventus goes over Cecil, Aqua goes over Terra(FF), Terra(KH) goes over Jecht, AotM goes over Warrior of Light, and No Heart also goes over Jecht. So I made a Bartz mod over Vaan. Since he also uses so many weapons just like Vaan. Another Roxas over Onion Knight mod. This time in his casual clothes wielding Struggle bats. I made this after seeing the trailers for the remake and going through the ending CG cutscene of Crisis Core. 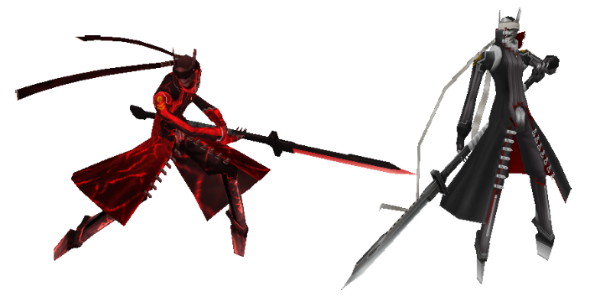 He switches from the remake version of the Buster Sword to the Crisis Core version. So here's another Cloud, one over Laguna this time. He stayed as a trooper among Shinra infantry. He gets promoted to Captain in EX mode, as signified by the scarf change. 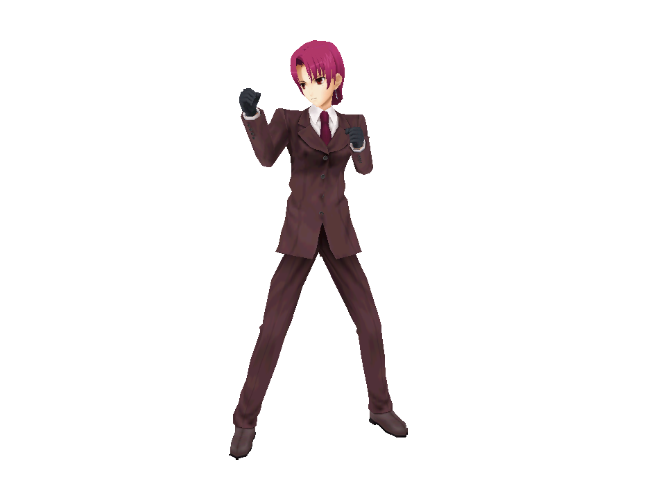 This post here is for all the Type-Moon models I've made so far. Knight of the Sun, Sir Gawain of the Knights of the Round Table. He goes over Warrior of Light. The Enforcer of the Mages' Association, Bazett, wielder of Fragarach, goes over Tifa. *Updated with re-rigged model, kept the hands as permanent fists because Tifa's EX burst makes her hands look wide open and stupid without punching gloves like the Premium Heart. Also gave her facial animation. Makiri Zolgen's Black Grail. Sakura goes over Ultimecia. Also known as Cu Chulainn, and formerly known as Setanta, the Hound of Chulainn goes over Kain. *Updated to have his third Ascension form as his EX mode, and added facial animations. Heracles, also known as Hercules, this Berserker goes over Garland. Altria Pendragon, the King of Knights, and her corrupted form, the Tyrant of Knights, go over Cecil. The Babylonian King of Heroes, goes over Bartz. Thinking of updating someday. 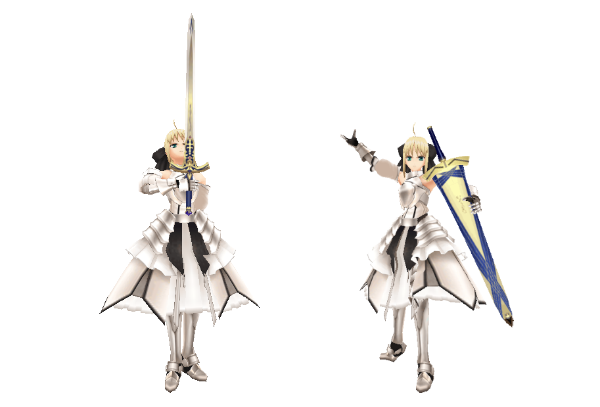 Illyasviel von Einzbern, with the use of the Archer card, goes over Lightning. 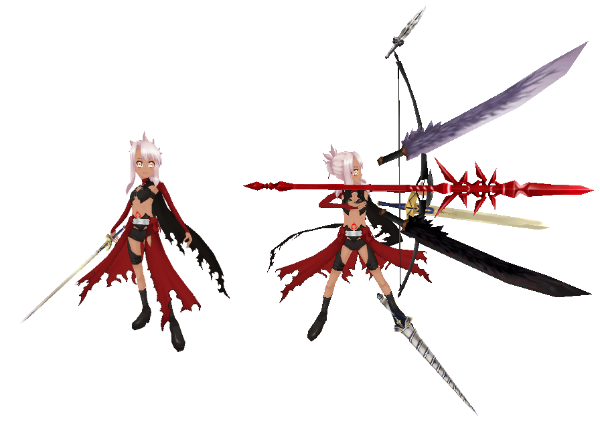 Special thanks to Desvol from the old Dissidia Forums for helping me edit the original Kuro model into this. Included in the RAR file is an alternative version made by him. Rigging and weapons should be slightly different. Chloe von Einzbern, 'sister' of Illya, goes over Firion. 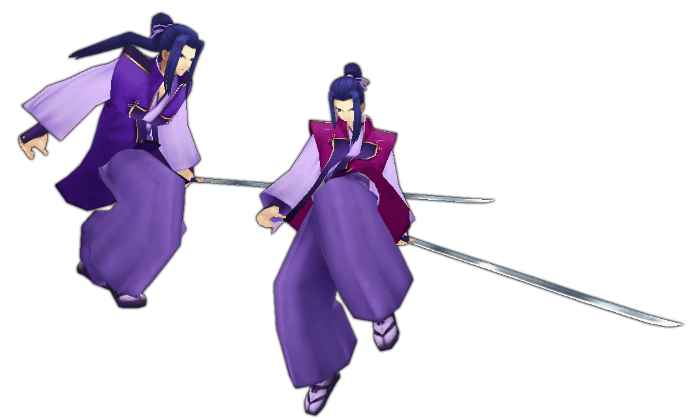 Sasaki Kojirou, rival of Musashi, REGEND SAMURAI, Savior of France, goes over Sephiroth. EDIT: Gave him an EX mode, his first ascension. Also known as Nanaya Shiki. 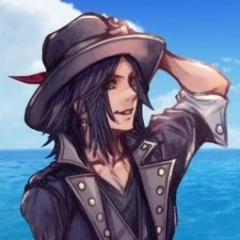 Goes over Tidus. In EX mode, he takes off his Mystic Eye Killer glasses and activates his Mystic Eye of Death Perception. 1st time I did custom animation with special thanks to Desvol for helping. 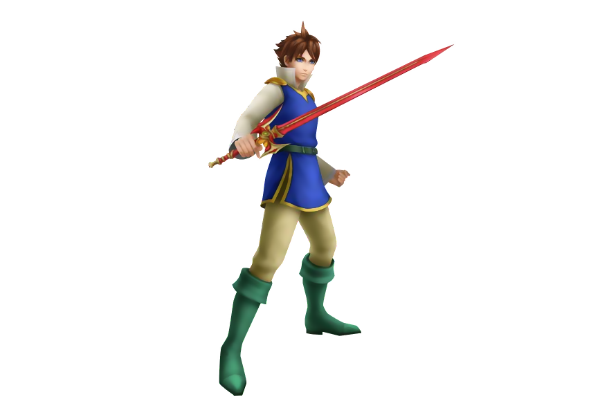 The Faker, goes over Bartz. He takes off his jacket in EX mode. Counter Guardian Emiya, goes over Firion. He dons his red mantle in EX mode. Knight of the Lake, Sir Lancelot of the Knights of the Round Table. He goes over Cecil. 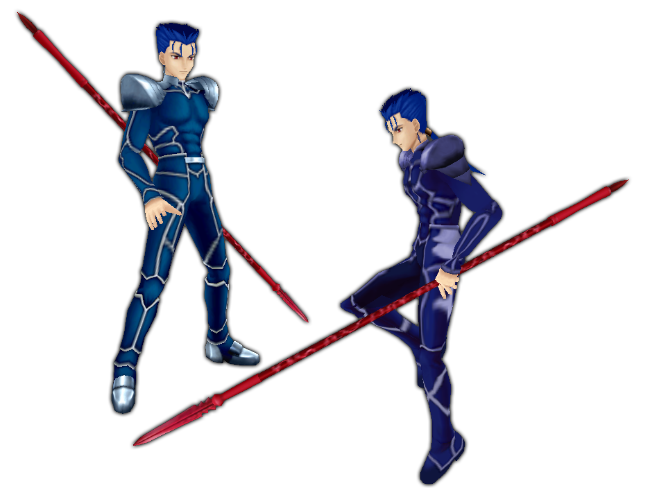 This mod features both his Berserker and Saber versions. Incidentally, the featured video is the 1st time I've used PPSSPP. 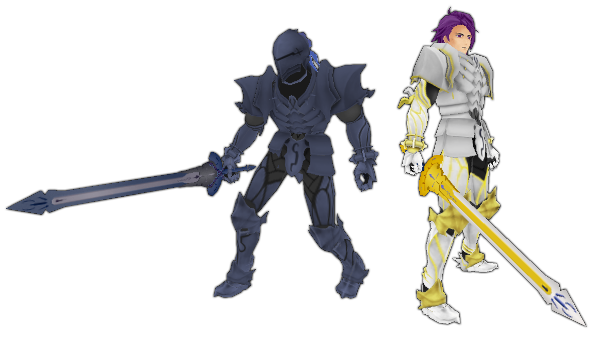 Big thanks to Roxas358 from VG-Resource for the Arondight models. 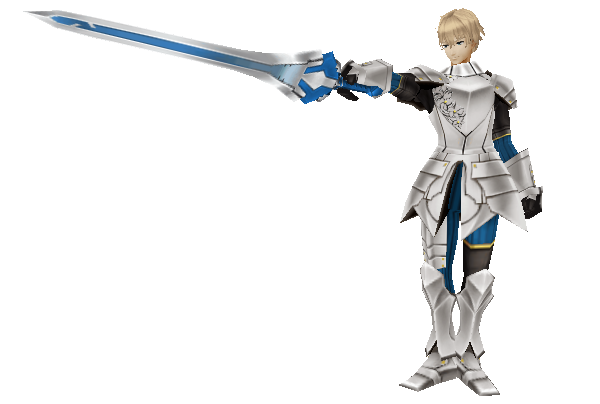 Also big thanks to Krauss on YT for the Lancelot model. This post is dedicated to all the Mega Man mods I have ever made. First time I have ever made a Lightning mod. 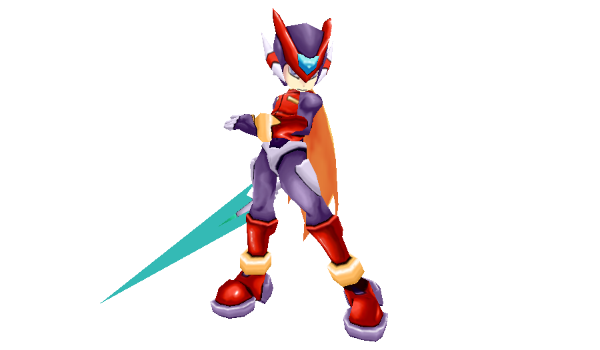 Thanks to Saunteringstep on DeviantArt for the Zero model and thanks to Roxas358 on VG-Resource for the Z-Buster model. He uses Omega's O Saber in EX mode. To be honest, this must be the first time someone has ever seen a mod this low-poly. 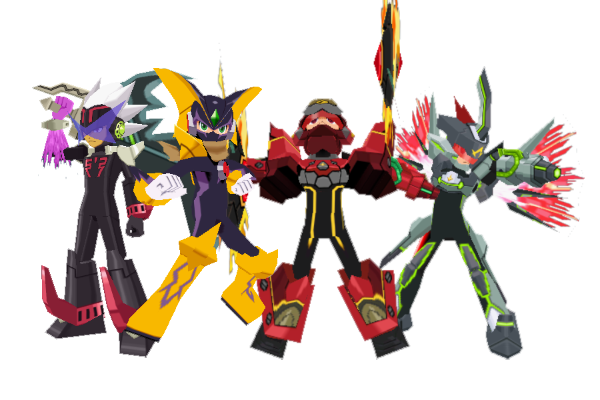 Included is Rogue over Cloud, Black Ace over Squall, Red Joker over Kuja, and Bass Cross over Golbez. 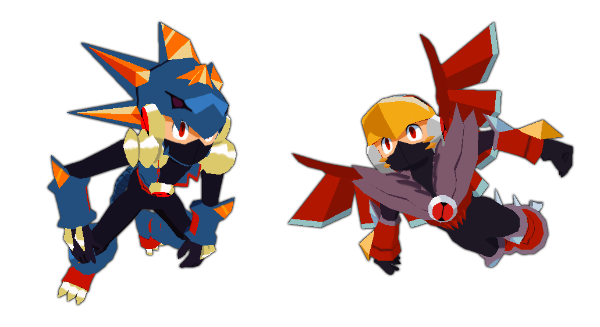 Star Force Mega Man in his Tribe forms. Ninja over Zidane, Zerker over Cloud, & Saurian over Jecht. Each of them enters Rogue Tribe in EX mode. 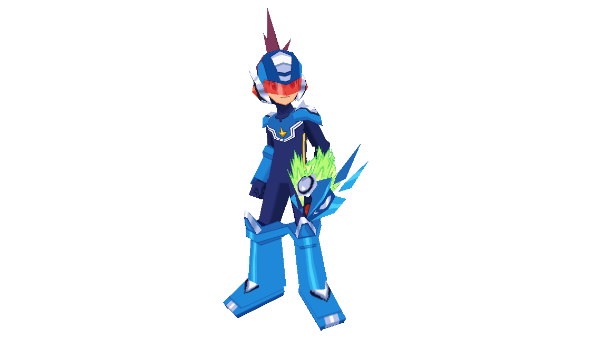 Star Force Mega Man in his initial form. I ripped his weapons from the games, myself. He goes over Vaan. 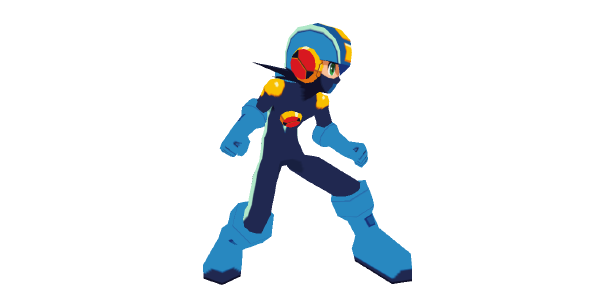 The digitized twin brother of Lan, MegaMan.EXE also goes over Vaan. Special thanks to Roxas358 from VG-Resource for making models of his weapons for me. The Cybeast within. Special thanks to HeatPhoenix of MMBN3D for making these models. They go over Feral Chaos and Kefka. The healing NetNavi of Mayl, Roll goes over Terra. 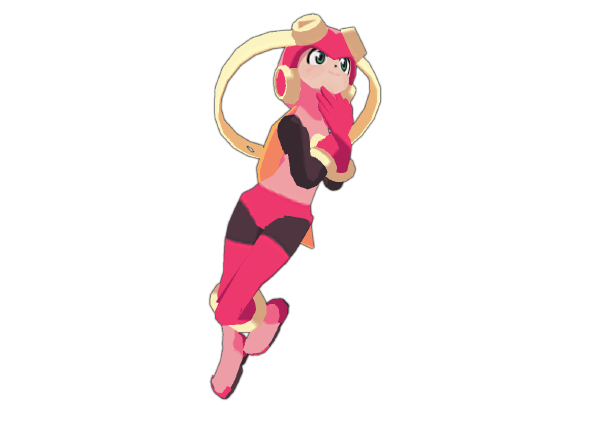 Credits to AtelierJordan from the MMBN3D Discord for making this model. This particular post is for Miscellaneous Mods with too few mods of that category. Pretty much my 1st ever model import that I rigged from scratch. They go over Cecil. I originally made this mod when I saw someone else called Jecht-X on YouTube make but never released it. He goes over Exdeath. He gains his wings in EX mode. Man, I had to do so much poly reducing on this model. 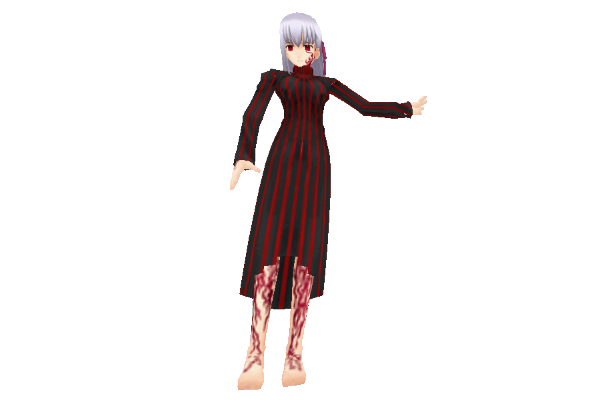 Gonna scrap it soon because I got the PSP model now. It's good to have you back again, I'm looking forward to more mods you have planned, like more Battle Network 5 characters and possibly Vile and Sigma from X8. 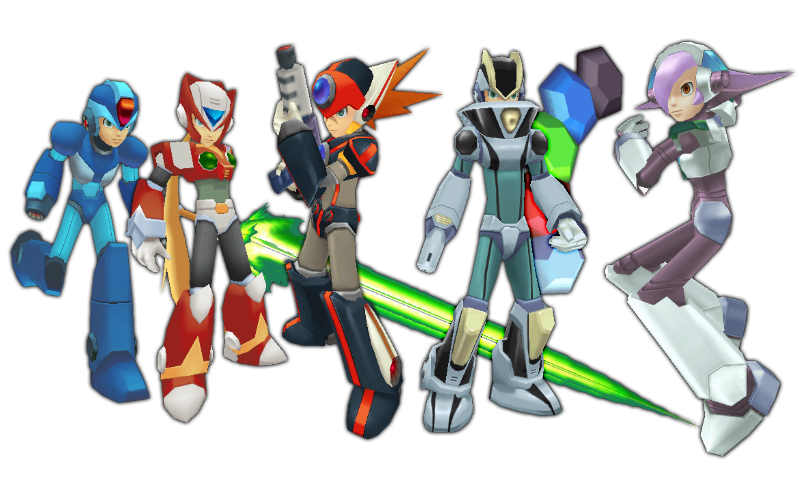 and I got your new Megaman X8 Modpack the moment you released it, IT ROCKS! Huh, I was wondering about Zero.EXE from transmission a while back, I even asked Chris Shade about that once on the old website. 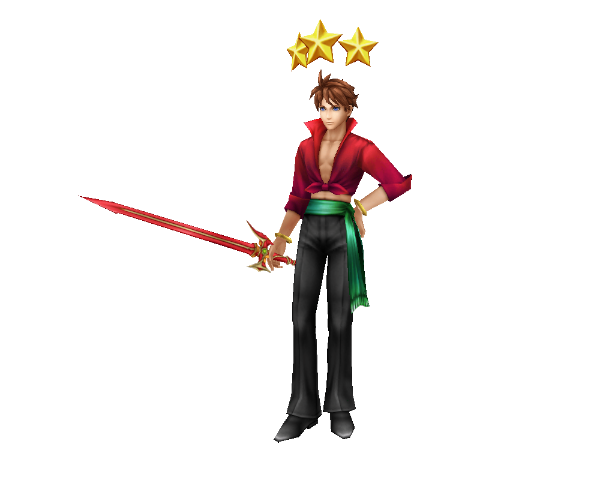 Bartz changes his cape when he enters EX mode. All I did was assign the jacket as the cape that was gonna be switched out. Just letting you know that Crisis Core Cloud and Shinra Cloud link both lead to the same file; namely, the Shinra Cloud files. The videos leads to the correct files, however. Hey Chris, do you still have the Archer mod where both his normal and Ex form are wearing the Red Coat? maybe you can reupload it? Anyway, your mod is one of the best :) . Sora, Roxas, Saber, and Emiya are what I use right now. Unfortunately, when I update a mod, I update the version uploaded to mediafire. That way, I don't have to go everywhere just to update the links for one single mod. Double posting, but I think it's about time I start updating some of my earliest mods. One of them is my first ever mod, Riku. 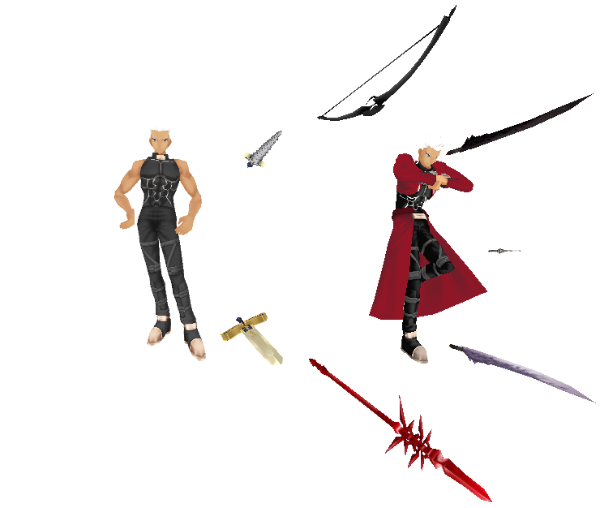 He was originally done by a guy called Zatewk on the old Dissidiaforums. Thing is, he used a high poly cutscene model for it, so there's no chance of ever putting facial animations. 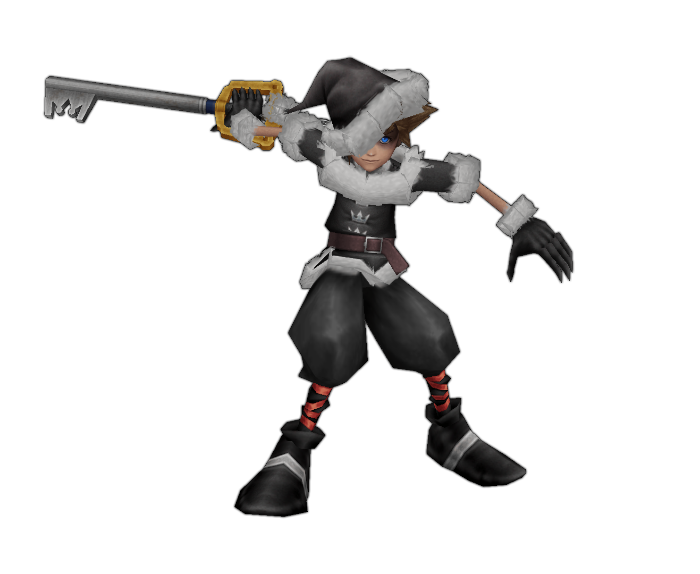 I edited that mod in the first place because he, like almost everyone else when making Kingdom Hearts mods, place the Keyblade facing the wrong way. 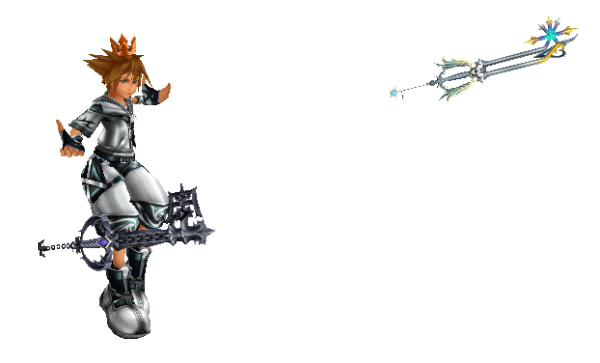 I remember messing up the rotation on Sora's arms when I rigged him, so the shoulders are pointier than they have any right to be. 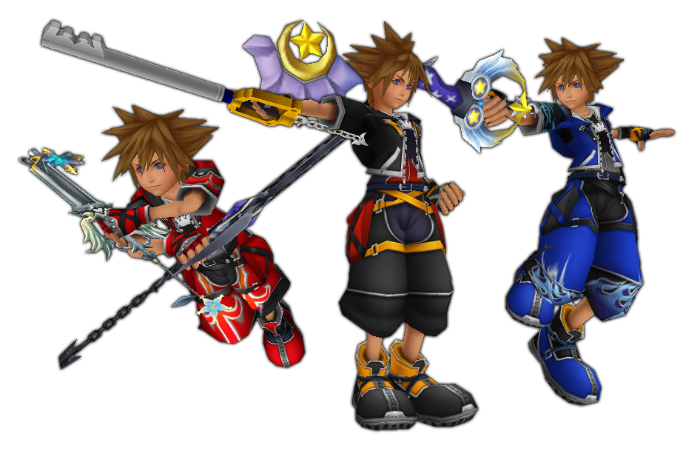 I got facial animation textures for Sora, Roxas and Riku, now. So I plan on maybe working on them. I'm thinking of re-rigging Riku and Sora. 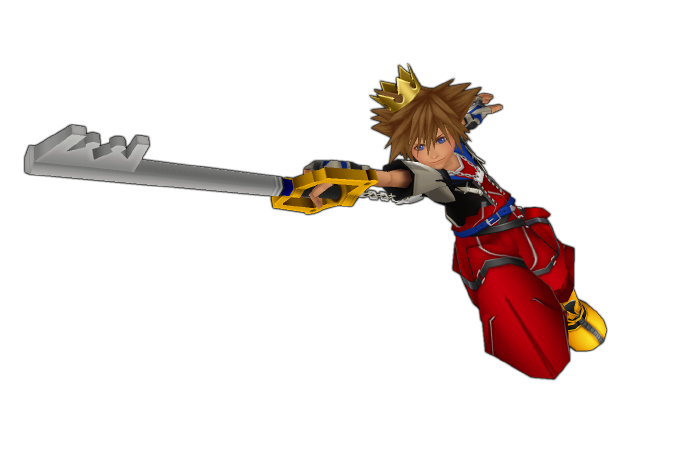 There are lower poly models of Riku and Sora from DDD, which would make rigging the fingers easier. 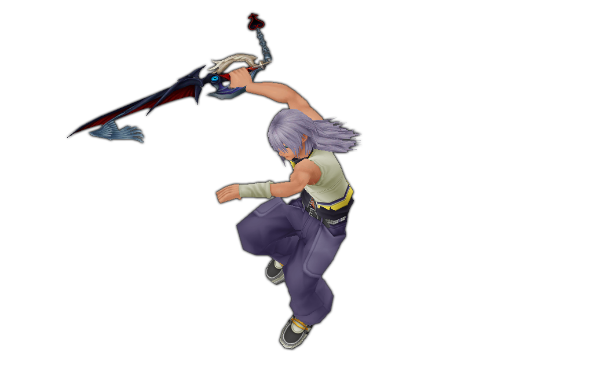 The hands of KH2 models are quite awkward to use in Dissidia unless you rotate each finger a little. After that, I've got an untouched project of a Master Form Sora. 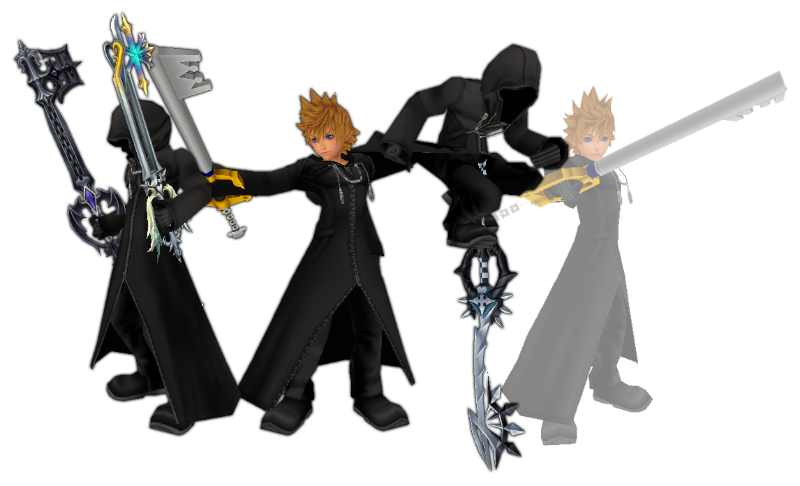 I already have a Final Form Sora which I'm not touching, even to update it with facial animations. I blame Windblast for making me do that one. Back to Master Form, I originally drew up the idea since that I've already made Wisdom and Valor forms, I should make Master Form. Ignoring my bad attempt at Final Form, there are already decent existing mods of Final Form and Anti-Form. The only one missing would be Limit Form, which I don't even know who to put THAT over. Master Form is gonna be over Bartz, I already have a list of Keyblades I'm gonna use. I'm gonna see whether I can give all of them keychain physics. 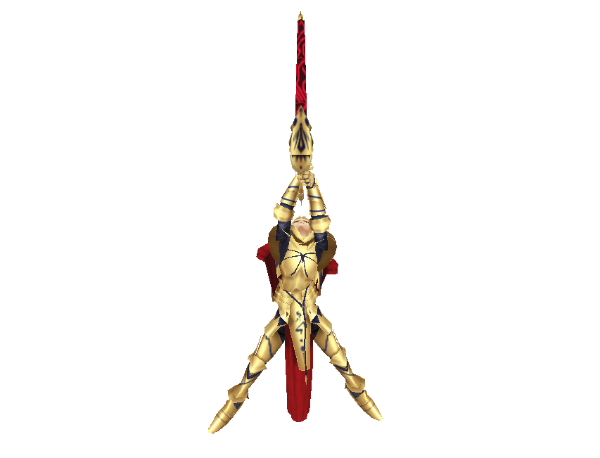 Or at least, animations for the EX mode. Check out the original post, cuz we have an update.